A ten week course stretched to twenty. 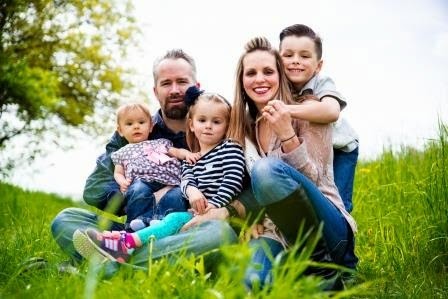 So how long does 10 weeks take, according to the group of Czechs that have been faithfully coming to our Christianity Explored course, 20 weeks. The course is designed to take 10 weeks. Due to sickness, death, vacations and other such events that can postpone meetings, we were to have our last meeting last night. As it turns out, our last meeting will be next week. Everyone decided that this meeting was going to be the meeting that they all wanted to talk, and therefore we did not cover all the material. Last night we discussed prayer, its importance, and why believers should pray regularly. Next week we will discuss the Bible; its history, the different writing styles, how to read it, why we should read it, and how to understand it. Some really exciting news to share from last night...."but you have to keep it a secret until Sunday" says Ales. One of the guys who has been coming to the meeting accepted Christ. This is a huge encouragement for our church because he is the first person in 10 years to accept Christ from being directly involved with our church. He and his fiancée started to attend our church when she became a Christian about a year ago. They came to English camp last summer and got to know us better and got to know some of the American/ English team that helped. Since camp, he and his fiancée have met regularly with some people from church and have been attending the Christianity Explored course. Yesterday he came to the meeting and told us he made a decision to follow Christ. He said he asked God to forgive him of his sins and that he wanted to start living his life as a follower of Christ. Ales was looking for a bottle of champagne to open, that's how excited he was for Tomas. Praise the Lord with us as we celebrate our new brother in Christ! 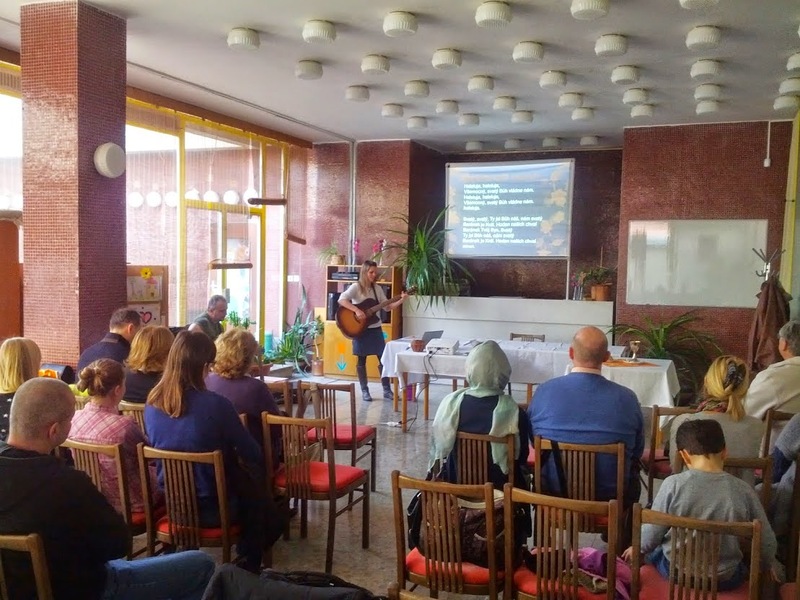 We have lived in the Czech Republic for over 6 years now and for all those years of ministry we have always been with our same little church in Líšen, Brno. As we've mentioned in other blog updates and in newsletters, our church had a bit of a "makeover" at the beginning of this school year. Though we are still in the same part of Brno, we moved buildings. We have recruited new members of our church to help teach Sunday School!! But in addition, I, Michelle have started to participate in leading worship. Yes I know, I've been leading worship for years; since I was in high school. But always in English and usually among Americans. This is the first time I've taken the responsibility of leading Czech believes in their own language with their own songs. There are many aspects that are really hard about leading. For one, I'm sometimes singing and using words I'm not fully confident of their meaning. The biggest problem though is that they tend to put emphasis on words while speaking and singing that is not natural for us native English speakers. So I end up singing the songs a bit different then they are used to. I'm learning:-)! In addition, their chords are not always what we use. A small "a" is an A minor. A small "e" is an E minor. Ok so that's not so hard. But I'm still trying to figure out what in the world an "h" is. As a result I'm not able to play all of their songs just yet. Which is too bad because they have some absolutely beautiful worship songs in Czech. One of the things I love most about worship here is that it's without all the show. No band, no rehearsal, no fancy slides. Just pure worship. Usually what happens is if the other worship leader or another member of our church brings their guitars, they will just come up and start playing with me. So it's very much on the fly, but I like it. No one cares about if we sound good or if we mess up, because worship is stripped down to it's purest element. So in the short amount of time that I've been helping to lead, I've been encouraged leading Czech believers to the foot of the cross. I'm teaching them some new English worship songs that have been translated into Czech. These are obviously my favorite to sing! So if you think of it, you can pray for God to use me in worship to serve and encourage His church and His people. When we first started having kids in this country, we quickly found that they were conversation starters. People would walk up to us and talk to our kids, and then maybe, possibly they may say something to us. Now that our kids are older, they go to school, and after school activities. Our oldest for example now goes to first grade and plays football for our village. He is part of two teams. The division he is in is a preparatory league and has two teams. The first team is aged 5-7, and the second team is age 8-11. Since Troubsko is a small village there are not so many boys, or girls that play for the team. The older team does not have enough players, so they asked Sidney to play for them. He is the only younger boy who plays well enough to hang with the older boys. The regular season is now over, but the winter league has just started. Sidney had his first tournament of the season. One Saturday a month the older boys have a tournament, and one Saturday a month the younger boys play. Sidney gets to play twice a month now. There have been many advantages to our son playing for Troubsko. He is the only American, and so we as a family are known by many. We have been accepted into this small community. Everyone knows Sidney's name and it is very cool to hear other parents yelling your son's name and cheering for him. Since the team is small we are also getting to know the other parents. Our experience so far in this village has been completely different than in the other places in Brno we have lived. Please continue to pray that we will be used as a light to this community to share the truth of God's plan of salvation. Please pray that our kids will also be used to share the light and that they may be an influence on their friends. Often in the small business world, word of mouth can be the best advertisement. If you do a good job or provide a service that not many people can, word of mouth travels fast. How does word of mouth work in the ministry world? Mars Hill grew very fast because of an attractive style of preaching. The Village Church in Texas also has an attractive no holds barred style of preaching. The content is also very good. People came to listen to Discoll, and people come to listen to Chandler. Are people drawn by the show or the teaching? 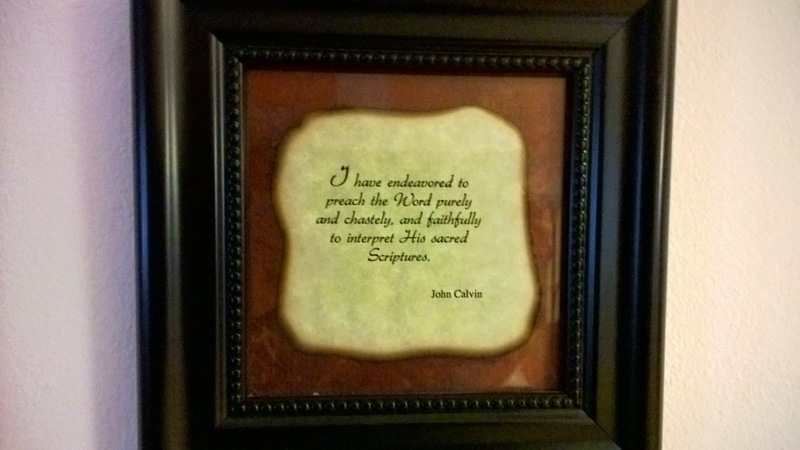 In my living room I have hung a framed quote from John Calvin which says: I have endeavored to preach the Word purely and chastely, and faithfully to interpret His sacred Scriptures. This is also my goal in ministry. Putting on a show may draw people in, but it is the Word of God taught faithfully that will attract His own. In a country as dark as the Czech Republic is, teaching God's truth is crucial. I received a phone call the other day from a pastor of a church in a village 40 miles from Brno. He asked me if I would be willing to meet with a lady from his church that asked specifically to meet with me. Why me? Word of mouth. Part of our ministry here in Czech has become a counseling ministry. It is not Christian counseling - it is biblical counseling. We use the Word of God, the Bible as our sole authority to help people overcome their personal problems and what the word describes as "mental illnesses". My weeks are starting to be filled with traveling to surrounding churches meeting with people who are in need of biblical counseling. They have heard by “word of mouth” that I have been trained in helping people by using the Bible. I meet with the pastors and have started training a few of them in counseling. My goal is to train the pastors in using the Bible to instruct and counsel their flock while helping other believers grow in their own walk with God. This is nothing of my doing, it is God that works through me because has chosen to use me. This is not what I had planned for our time in Czech, for our ministry, or for our life for that matter. But we are here, and this is what we will faithfully do. We are committed to preaching the Word purely and chastely, and faithfully interpreting His sacred Scriptures. It has not been easy, but it has been rewarding to see hurting people find healing, to see people enslaved in fear find freedom, to see marriages restored and flourishing, and it has been rewarding just to see people grow in their understanding of our Savior. Our prayer is that “word of mouth” continues so that others may also find the freedom that only Christ can bring. As you may know, every Thursday evening we have been holding a Christianity Explored study. Christianity Explored is a study through the book of Mark. As of this week everyone should have read the first 8 chapters. There are some amazing stories and truths that we have already talk about in the study. The course answers the 3 questions, Who is Jesus? Why did he come and live as a man? And what does it look like to follow Him? This past Thursday was our fourth meeting. This week's topic was Christ's death. What it was, how He died, why He died, and what was the response to His death. Most Thursdays I spend several hours preparing for the study, since I am the "leader". CE is produced by an English organization and for the past several years Czech believers have been translating the study into Czech and dubbing the videos into the Czech language as well. Unfortunately, since that time the English version has been updated. Consequently the English version and Czech versions do not match up so well. My plan was to compare the two in order to understand the Czech version faster. Since I cannot do that, I spend more time preparing. First I watch the English video so that I get the context of what is being taught. I then watch the Czech version twice so that I get a good understanding of what is being taught. It gives me a chance to stop, rewind and catch things I miss. I then go through the preview of the lesson and the questions. I look up new words and phrases and write my own answers in Czech. Since this Thursday was about Christ's death I wanted to make sure I was really prepared. Every meeting so far one couple has regularly attended. She is a new believer and her boyfriend is open to learning about Christ and what a relationship with Him looks like. Every week Michelle bakes muffins, or some kind of desert. Instead of eating a meal together at CE, we have coffee and desert. So here I was, Thursday afternoon, loaded with the Word of God, an evangelistic message and of course the muffins. On my way to the church I received a phone call, the couple who has been coming are not coming tonight. Their daughter is sick. What a utter let down. My first thought was, great, I just spent my whole afternoon preparing for nothing! But did I? When we spend time in the Word of God, it will never be a waste of time; and or me, anytime I spend in the Czech language it is always profitable. Was I discouraged, of course, but just for a moment. When we serve God we must have the right mindset, we must have the correct motivations. This ministry we are in is never about us, or how much time we have spent doing something. This ministry is about serving God. I was diligent and prepared the lesson, It is not my responsibility to make sure people show up. I cannot control sickness, I cannot control if people want to come. The only thing I can control is how I prepare for the opportunity, and how I respond to the situations I face. I didn't spend those hours preparing for my sake, I spent them because that was the opportunity in front of me. I am disappointed that they didn't get to hear the Gospel, I an not disappointed I spent the afternoon working on a lesson I will most-like have to prepare for again next week. As it turned out, the second lady from the first meeting came with her husband. Since they had missed the second and third meeting, we condensed the two and caught them up so that everyone will be prepared and ready for the fourth lesson, Christ's death. So instead of just one person who would of heard the gospel message this past Thursday evening, there will now be the possibility of three people who will, Lord willing, be prepared to hear the Gospel message next Thursday. Ministry is not easy, ministry is the Czech republic is especially hard (stay tuned for an upcoming bold post on that topic). We serve out of a love and obedience for God. I am/we are not important. But God has chosen to use us to bring His message to those who have not heard. He has chosen to use us to teach His own. That is our opportunity, that is what we work towards. The other week one of Michelle's cousins came to visit. She is currently a student in Denmark studying wind energy. She had her fall break and asked if she could come to visit. She also has a blog, and I came upon her latest entry this morning. I thought I would share it with you - she has a lot of interesting insights to what she experienced and saw in her short time staying with us. Now, for my trip. 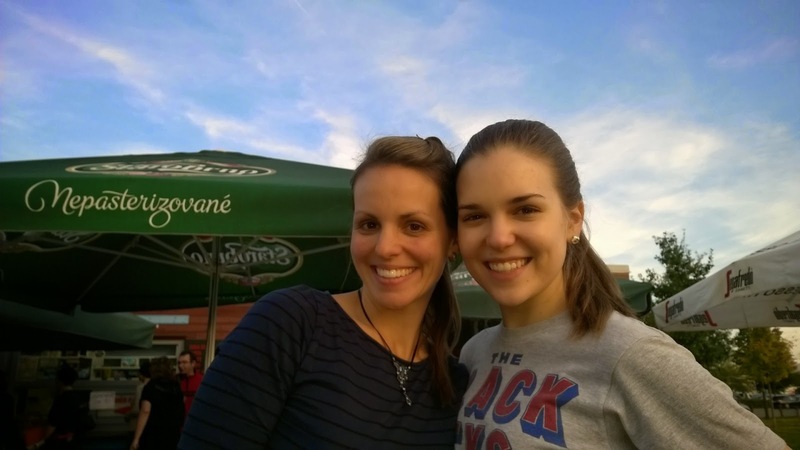 I decided to go to Czech so that I could visit my cousin Michelle and her family in Brno, since I hadn’t seen her in two years! I arrived on a Saturday night at the Prague airport. My plan from Stockholm (where I had a layover) was delayed by almost two hours. We taxied twice, but it turned out that the computer systems weren’t working so we had to get a new plane. Luckily, Michelle’s husband Wes had kindly volunteered to pick me up, and waited at the airport during my delay (thanks Wes!). We then drove a little over 2 hours back to Brno. The next morning, I went with them to their church, which was quite an interesting experience! A few of the members speak English, but it was mostly in Czech. Wes gave the sermon, which was partially in Czech and partially in English. I have gotten quite used to not knowing what is going on around me, so not understanding the Czech didn’t bother me much. I could generally follow what was going on (Wes had filled me in on how it all works the day before), and the words to songs and the Bible passages were projected on the wall. Even though I didn’t understand the meaning, I could follow the written words. Czech, unlike Danish, is pretty much pronounced exactly how it looks. Later that day, we took a trip to the largest mall in Brno, not too far from their house, which looks just like any mall in America. They have this awesome playground, too, with a cute little train that goes all around the park area. This playground had so many things that would be a lawsuit waiting to happen in the U.S. A fun game to play (in Czech, in Denmark, really anywhere) is “How many of the things around me would be cause for a lawsuit in the U.S.?” For example, they have this sort of pyramid of bars that you can climb on (kind of like a “mesh” pyramid) that is maybe two stories high. If a kid fell, they could easily seriously hurt themselves. The train, though it moves slow, was just a bench that you straddle with nothing keeping you in on either side. I would’ve loved to have something as awesome as that playground as a kid. The next day, Michelle took me into Brno. It was a very quick and cheap train ride from their town into the city. Brno isn’t too interesting in terms of architecture or attractions, but I think it is a more authentic picture of Czech life than Prague was. Though the most authentic experience was definitely being at their house, since everyone around is Czech, and pretty much the only things in the town are a church, a soccer field, and a pub. In Brno, we saw the Cathedral, the main square, and walked around and went in some really cute shops. We stopped to get a latte macchiato and apple strudel (for less than $3) and also went to an awesome Indian buffet that was only $5. Brno was interesting – everyone walked around expressionless. I am sort of used to this because it is pretty similar in Denmark, but it felt fundamentally different. I may have been a little tainted since Michelle had already mentioned that many Czechs are unhappy, but you could almost feel it. Walking around in Denmark, you wouldn’t think it’s the “happiest country in the world” from looking at the people (blank faces + all black clothes = happiness? yeah okay…), but after going to Czech, I definitely think the mood is different here than it is in Czech. Czech is very beautiful (Moravia is a gorgeous area), but something about it definitely felt a little depressing – something I don’t feel in Denmark, even on the dark and rainy days. Prague didn’t have this as much, but I was mostly around tourists. On Wednesday, we visited Mikulov, an adorable little village, right near the border with Austria. I think that was about as authentic Czech as it gets, though I think there may have been some information in English and/or German at the castle there. It was cool to walk around and see the beautiful architecture, have a pastry, and enjoy the view. Definitely not a place I would go without a guide who speaks Czech! On my last day, I got to go to Michelle’s son’s soccer game, which was also really interesting. It was an away game, so we had to drive (his soccer field in their town is within walking distance). I think my favorite thing about this was the bar at the soccer field. Can you imagine parents in the U.S. drinking at their 6-year-old’s soccer game? I’m laughing out loud just thinking about it. I also found it interesting how quiet the parents were while watching. They certainly cheered and called out to their kids, but nothing like in the U.S. Again, it was that more muted and sort of depressed feel (though it may have been the weather). We have had three Christianity Explored meetings so far. We have had one couple show up every week. She is a believer and her boyfriend (soon to be husband) is not. He believes everything so far that we have read in the Gospel of Mark. We have covered the first 5 chapters. The main point so far is to establish that Jesus is the Son of God by 5 indisputable facts. He has the power and authority 1. over sickness, 2. over nature (although another member of the church tried to tell me that because the Prophets also had "power over nature" we could not use this as a indisputable fact) 3. over death, 4 to forgive us of our sins, and 5. he taught with power and authority, not like the scholars of the time. The course is really well done, and lays out a great foundation to build from. Both elders of the church have been present and help me to carry on the discussions. I find it hard to carry the discussion, but one of our elders has the gift of blah, blah, blah and does great. Keep praying that this couple will grow in understanding and that the boyfriend will give his life to Christ as his Lord and savior. We are an Americanish family living in Brno. We moved to Brno in 2006 to serve where God would have us serve. 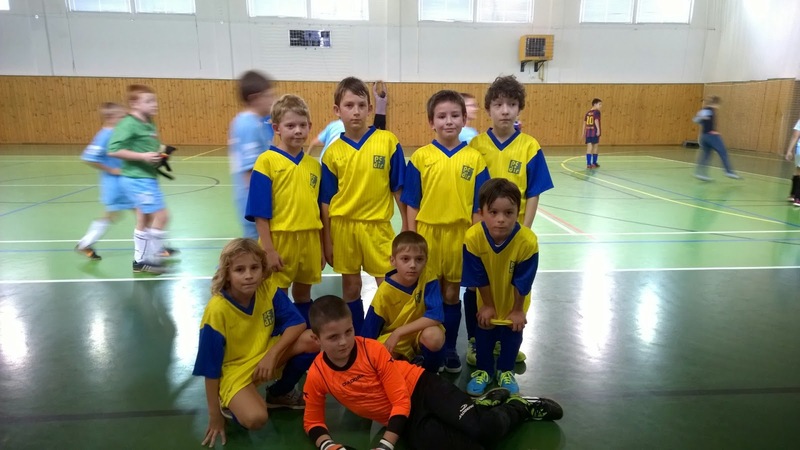 Currently we attend and work with the Krestanske spory in Lisen. We are a small family oriented church. Come visit if you're able.